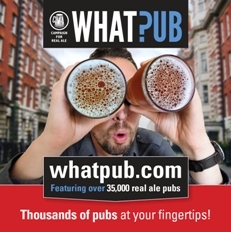 Whatpub is CAMRA’s online pub database. This attempts to list all pubs in the UK, giving opening times, descriptions and other useful information. You can search the database to find pubs in a particular area and even to see only those pubs that serve real ale. This database does not list Good Beer Guide pubs. You will still need the GBG book or app to access these. Through Whatpub you can submit your beer scores and indeed, this is the most convenient way. Beer scores (under the national beer scoring system or NBSS) is the way that CAMRA members rate a pub on its ability to serve cask-conditioned real ale. CAMRA members rate their experience on the appearance, form or condition, freshness, temperature and other elements to do with the cellermanship and presentation of each real ale. The system is not based on personal taste or personal opinion of the pub which can cause difficulty, so do your best. Bottled ales and ciders are excluded so please before scoring, review CAMRA’s definitions for ‘cask conditioned’ and ‘real ale’ if necessary. For example ale served directly from the secondary conditioning tanks can be accepted according to CAMRA rules. 0. No cask conditioned real ale available. 2. Average. The beer is well kept but perhaps it does not inspire anything. You drink your beer without noticing. 3. Good. Good beer in good form. For example you may specifically want to stay for another pint. 4. Very good. One to note down. 5. Perfect. This score will be awarded very rarely. For example in 2014, there were only two ‘5’ scores for the entire area of Swansea out of over 400 scores. Half scores are possible so for example 0.5 could be for a beer that had to be taken back. Even if the beer is subsequently taken off by staff as per your advice and you are given a replacement beer at no extra cost, you should still consider rating the poor beer. Comments can be left on your score to indicate the actions of staff. There are three ways to record your scores, via Whatpub, via the old NBSS website or in writing to your Whatpub officer at a branch meeting. There are various detailed YouTube videos on using Whatpub here and here. These forms allow you to input the brewery, beer name, score and price. Also custom entries can be placed. For example if a new beer from a brewery is just released, it may not appear on the list. Simply select ‘other’ for the beer and name the beer in the comments section. The lists get updated periodically. As always further advice can be obtained at the branch meetings. Once each beer is rated and entered into Whatpub, the scores are averaged for each pub. These scores are then collated and updates on our progress are reported at every branch meeting. There, advice is given on which pubs need more visits and/or ratings etc. Ultimately the scores are used to help select the entries for the Good Beer Guide. For example a pub that has been visited by multiple different members and rated frequently with consistently high scores would stand a good chance of being entered. However a pub that is highly rated but has only been rated by one person would be highlighted to the branch as a pub needing a few more visits by different people. Pubs on very similar standings at the ‘business end’ of the scores table may need additional consideration at the end of the year. Link to a useful overview of how the West Kent branch uses whatpub in relation to beer scores. Link to a useful overview of how the North Herts branch uses whatpub in relation to beer scores.